Many drug and alcohol addiction facilities also ban cigarette smoking. But that might be hurting people’s recovery from their more serious addictions. 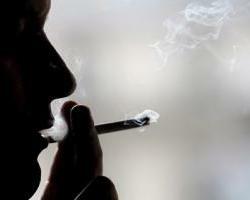 Studies show that 75% of drug addicts and alcoholics are also smokers. So it would appear to make sense to ban cigarettes, in essence killing two birds with one stone. But according to a new study, that might not be the best idea. Researchers looked at one Ohio addiction center that banned smoking. They found that in the months following the ban, the number of users who completed rehab dropped nearly in half. Oddly, both smokers and non-smokers stuck with the program for fewer days than they had before the ban. It seems that trying to give up two addictions at the same time is too much to ask. The researchers aren’t discouraging treatment centers from trying tobacco bans. Because previous studies do indicate that quitting tobacco and hard drugs at the same time ups the odds patients will stay clean in the long run. But as this study points out, even a well-meaning ban on tobacco may sometimes push away the very people who treatment centers are trying to help. The study appears in the Journal of Social Work Practice in the Addictions.